EXTENDED! 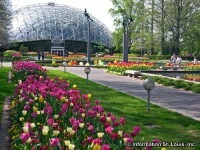 Flora Borealis at the Missouri Botanical Garden. Enjoy the Gardens after dusk when they are transformed each night with Flora Borealis. Dates: June 29th through August 26th. EXTENDED with select dates on Thursdays, Fridays and Saturdays in September and October running through OCTOBER 20TH. Doors open at 7pm for all ticket holders. See website for more information and to purchase tickets.